Louise Ells shares short story collections that inspired her as she wrote her own debut, Notes Towards Recovery. 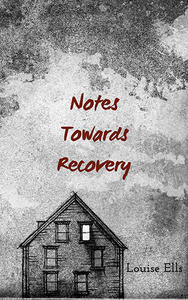 Notes Towards Recovery comprises 21 short stories thematically linked through loss and the spaces around loss. At the centre of my stories are women who navigate holes created in their families due to distance, disappearance, dementia, divorce, or death, often reinventing themselves in the process. How do you identify yourself after losing the role by which you were defined? If you have always labelled yourself as a mother, who/what do you become when your child dies? Questions my characters ask include: How do we live with the knowledge that we are unable to protect from all harm the people we love? How do we confirm the truth of a matter, when the facts of an event are accessible only via a memory, which may or may not be entirely trustworthy? How do we make a choice when both options are equally difficult to imagine? What role does silence play in communication? Woven throughout the collection is the suggestion that people create identities though the telling and re-telling of their stories. Due to their brevity, short stories are a medium well-suited to the exploration of loss; even as I introduce a character, I am readying readers for the loss of that character. The Canadian settings are partially-remembered, partially-imagined, as I was living in England when I wrote them. During this time, I kept myself connected to Canada by reading contemporary fiction, gravitating towards stories which give voice to females, and focus on liminality and lacunae. Now, as then, these authors continue to inspire me. This book was the backbone of my dissertation’s exegesis as I compared Munro’s stories as they first appeared in magazines and the revised versions in this collection. By 2015 I could recite long passages by memory and would talk for hours to my friends Amy and Tiffani about the difference between “The street was a curved dead end. There was no use going further” and “The street was a curved dead end. No going farther.” (“In Sight of the Lake”). Robert McGill was kind enough to reassure me at a conference that “there is always more to say about Munro” and I have much left to say. I buy secondhand copies of Dear Life in order that I always have one on hand in case I should meet a new friend who has not yet had the pleasure of reading it. I am sorry I read about Givner’s death before I read her work; every fictional scene of sorrow was all the sadder for it, and yet this is not a collection of sad stories. They are stories with dramatic moments, oftentimes requiring a re-read in order to fully appreciate how everything in the story has led to that moment. This is the worst kind of loss—knowing there will be no more fiction forthcoming from this author. This was a collection I had to read slowly, thinking about each story after I’d finished it, and a collection I had to reread immediately I’d finished. Some of these stories could be labelled prose poetry; many comprise short, sharp paragraphs, separated by asterisks (reminders to breathe). As a reader, I was forced to fill in blanks; as a writer I marvelled at how much Lyon trusts her readers. Impossible to choose a single favourite story, but “Song” is one I return to again and again, with its repetition “It happened like this” and “Two boys went into a house” and the layering of disparate details about three versions of an event. This is another book that I could never have written: fantastical, funny stories with a range of narrators and multiple plot twists. The writing is so confident, I found myself believing anything might be possible in the worlds Hill has created. “Apple” ends with Norman doing “that smile behind his hair that makes me wonder if I know anything at all.” I felt the same way. These stories include explorations of illness, adultery, alcoholism and many characters living in or with various liminal states. One of my favourite definitions of a short story comes from Charles E. May who suggests Munro “uses language to suggest, but not explain, complex human interactions and emotions” (May). That perfectly describes the imperfect characters in this collection, and why the stories stay with me. Is it odd to admit that I rarely bake an angel food cake without thinking of Bonnie, and David, and Milt, and Janey? When I hull strawberries I think of the green tops as asterisks. There are such powerful telling details on almost every page. Thank goodness the word “relatable” is the adjective of the moment, so I can describe this story cycle as such. Lizzie’s love/ hate relationship with food, and her hope that weight loss will make prettier/ more desirable/ happier, along with the challenges of relationships with friends and family are, alas, all too familiar. The end result is a book I devoured in a single sitting. Verisimilitude? Yes. Fiction as a mirror of society? Absolutely. I bought this book in Munro’s Books, after I’d spent an hour slowly walking every aisle, touching the bookshelves that Alice Munro herself may have touched. I was travelling back to North Bay from Victoria by train (so Munrovian!) and knew I’d need a book which could complete with the scenery. This was it. Though the words "a novel" are written on the cover, I would argue this is a story cycle or novel-in-stories, and part of its power comes from the necessity to rethink first impressions of characters when seeing them from a different character’s perspective, or later in life. Many of the images continue to haunt me—a woman’s sorrow at the loss of her late parents’ belongings which she exchanged for a cheque, and the low-hanging moon which is compared to a pregnant cat. One of the anthologies I am using as a text for my class, "The Contemporary Short Story," this semester at Nipissing University. I am truly lucky to have a group of intelligent, insightful students who are close readers, careful thinkers, and enjoy enthusiastic discussions about and around these stories and the others we read online (including Munro’s “Train”—because I can’t imagine teaching a short story class without at least one Munro story, and “Cat Person” because how marvellous is it that a short story "broke the internet"?!). Another of our class texts, with a selection of equally “relatable” stories; I’m so pleased that Alicia Elliott’s “Tracks” and Liz Harmer’s “Never Prosper” are included in both. To date Lynn Coady’s “Someone is Recording” has initiated the most divisive discussion, and David Huebert’s “Six Six Two Fifty” has been the most welcomed. I think every one of these authors would be grateful to know how closely their work has been read. Notes Towards Recovery is a short story collection that explores loss and the spaces around loss. At the centre of these stories are everyday women who must navigate these spaces and their shifting boundaries, often redefining themselves in the process.